Each year, nearly 45,000 Americans die by suicide. Adding to the irreplaceable loss of lives, there are also over a staggering 1.35 million who attempt suicide every year. Let us remember that these are more than statistics; it is lives that are at stake. These numbers spell lifelong trauma for a large part of the population - both patients and those close to them. As the 2nd leading cause of mortality among those aged 25-34 and the 10th overall, it is imperative that the specter of suicide be prioritized, addressed and prevented without delay. What causes a person to attempt suicide? 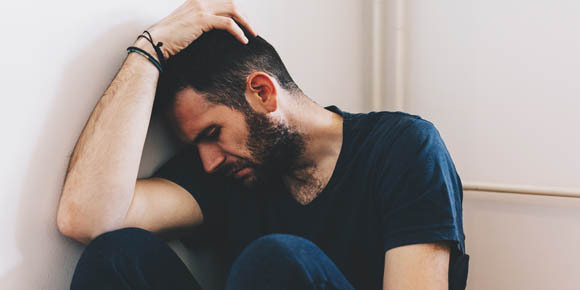 While the issue can be specific to the individual and complex in nature, two words encapsulate a reality many suicide victims grapple with: mental illness, most commonly a mood disorder or substance use disorder (SUD). Other critical risk factors include alcohol and drug use, access to lethal means, a genetic predisposition to suicide, past abuse or neglect, the death of a loved one, a major loss - of one’s job, home, etc., a terminal illness, chronic physical pain and assault. The stigma of mental illness and comorbidities, such as substance use disorder, can deter patients from seeking treatment, while that towards suicide prevents potential victims from disclosing their suicidal tendencies to clinicians. Over 90% of those who commit suicide are mental health patients, only about half of them receive a diagnosis and appropriate treatment. Cost of care is another frequently cited barrier to treatment, with studies clearly showing that the use of available treatment options is sensitive to price. There also exists a need for additional funding towards research and for suicide prevention lifelines and the preservation of funding for initiatives such as SAMHSA’s Zero Suicide Initiative. Challenges exist also on the data sharing front, with partner organizations - both external entities and internal departments and agencies - displaying reluctance to share data about suicide deaths and attempts in their settings. One- or even two-year-long delays in receiving data lead to lack of information needed for prevention planning at a local level. Early identification of at-risk suicide patients and getting access to care for these individuals before an attempt is made poses yet another challenge. Determining the impact of suicide prevention initiatives can also prove difficult as programs work in tandem towards impacting changes in suicidal behavior in communities. It is critical that different settings, such as primary care, emergency care and substance abuse care are linked to the mental care setting. The lack of such linkage leading to a fragmented organization of services has been repeatedly found to be a barrier to obtaining effective mental health treatment. Mental health patients often report their frustrations at both waiting times and at having to navigate the maze of disorganized services. The less than optimum availability of mental health care is a severe problem especially in rural areas and communities with large minority populations. A little below 40% of suicide victims see a primary care physician in the month before the event. However, detection is very rare, with physicians neither probing for suicidal ideation nor patients reporting it. Specialty care, too, falls short due to the lack of professional guidelines for both assessment and treatment of the suicidal patient. Of adults experiencing depression, only 30 - 50% are accurately diagnosed by primary care physicians, most often due to a paucity of time and knowledge. Additionally, autopsy studies have shown that a majority of suicide victims suffering from major depression were either not receiving treatment or receiving inadequate treatment. These findings hold true for suicide attempters as well - both before and after the attempt. About 40% of cases of alcohol abuse - seen associated with around 51% of suicide cases - also goes undetected in primary care, owing to lack of time and “fear of spoiling the relationship with the patient”. Further, the evidence-based strategy developed by the National Center for Injury Control in 2017 recommended that the following steps be taken to prevent suicide: strengthen economic support, strengthen access and delivery of suicide care, create protective environments, promote interconnectedness, teach coping and problem-solving skills, identify and support people at risk and, prevent future risk. The success of these programs and others such as SAMHSA’s Zero Suicide model includes, among other measures, effective public-private partnerships. This is where digital health technology comes in. Digital care for suicide prevention can augment, strengthen, and improve current traditional care methodologies. Easy access to follow-up services, telehealth remote care, customized interventions, real-time warning alerts, one-tap hotline facility and tailored self-support resources, all of which address the supply-side shortages present in the current healthcare landscape. Real-time monitoring of care plan adherence, engagement level monitoring and data flow from wearables. Automatic data and report generation to bridge the gap in data quality and availability, which supports better planning for the care needs of the patient population. It is crippling mental anguish that leads a large number of people to attempt something as drastic as suicide and we, as a society, stand witness to it. More can be done as discussed above at the systemic, societal and community levels. This holds true at the individual level as well. Given under-detection is a big part of the problem, it is important to recognize the warning signs, the key among which include hopelessness, talking about harming oneself and seeking out methods to do so. All of these should be taken seriously and not ignored. If you suspect a loved one is experiencing suicidal tendencies, ask them upfront if they are considering killing themselves. This can often act as a catalyst to a conversation regarding their concerns. Contrary to popular belief, this will not increase the probability of a suicide attempt. Also remember to keep helpline numbers at hand, remove any lethal weapons/materials from their reach and try not to leave them alone. At the heart of suicidal tendencies is, often, a mistaken feeling that the conditions the patient is experiencing at the time are bound to continue without end - a hallmark of depression. Pointing out alternate viewpoints to bring about a change in the individual’s perception of his/her reality can be of great help. Suicide is a public health issue of stark proportions that brings terrible and relentless pain to victims, survivors and loss survivors alike. Digital health technology, together with systemic reform and grassroots action, could prove to be the turning point in helping individuals gain access to effective care and timely interventions that support their return to a healthy mind.